The Garage Door Centre has always specialised in various high quality insulated garage doors, as well as matching entrance and side doors. The term 'insulated' is often used quite casually in the door industry to describe a product, so it is important to measure your expectations correctly compared to the potential results. In order to achieve useful insulation in any door, some careful thought is required regarding the installation position and necessary peripheral items to ensure the very best sealing within the structural opening given. A double skinned, 'super' insulated door panel section may not result in a suitable level of insulation once installed if the installation is not correctly positioned and specified. With most of Northern Europe going 'Eco Friendly', the garage space and surrounding area is no exception, especially when it is an integral garage with either a room above, to the side, or behind it. A lot of heat can be lost from the main house with a single skinned steel door with no sealing to the sides and bottom during the winter. Apart from this we find ever increasing numbers of homeowners using their garage for everything except storing a vehicle. Offices, gymnasiums, games rooms, playrooms, workshops and just general storage of many higher value items all included nowadays as we all gather more and more items. 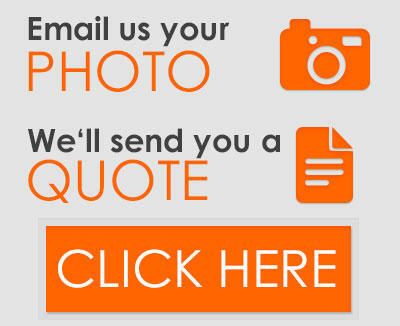 What Types of Insulated Garage Doors are Available? 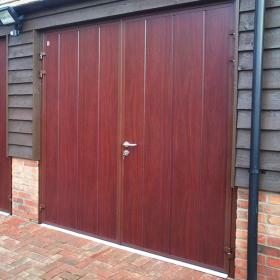 There are many different types of mechanisms providing garage doors with medium to high levels of insulation. The five main types are set out below with the addition of our ever increasing entrance door range, either in aluminium, timber or steel, both offering very high levels of security and insulation with some incredible designs and finishes. Vertically rising insulated steel panels where the panels operate behind a heavily weathersealed framework to provide one of the highest levels of insulation for any of the garage doors currently in the UK. Hormann also offer a 'Thermoframe' kit to further enhance the insulation at the sides and top of the door when closed. The door panels will be made from either 20mm or 40-45mm thick double skinned steel sections with a foam filled central core. Of course by their nature sectional doors are also very strong and therefore secure, another desireable feature for any door! Hormann, Garador and Carteck offer the best in insulated domestic sectional doors. The Hormann LPU 67 boasts the same high quality elements of the LPU 42, however the door panel is 67mm thick, making for a highly insulating and secure sectional garage door. Visual demonstration is a very effective way of gauging the true properties of this door - please view the informative video below to find out more. Vertically rising roller doors have some of the same properties as the sectional door with the built in weatherseals in the tracks but the insulation levels can never be as high in a roller door as each slat is pivoted to the next slat and there are many slats so the installed U value is always going to be comprimised in any roller door. For good levels of insulation, but not rated with a U value look at the Seceuroglide, Gliderol, Hormann and Garador roller doors and make sure for the best insualtion and sealing you always have the hood cover for the roll and thewidest guides available. 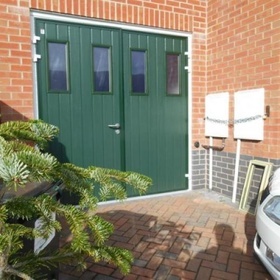 There are some semi commercial insulated roller doors that do offer higher levels of insulation and security too, take a look at the Hormann SB roller door for example as one such high level example. 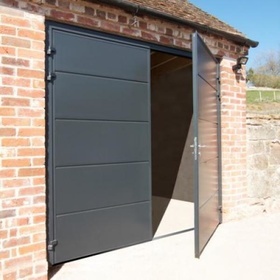 Two types of round the corner generally exist, side sectional doors and round the corner doors produced from the same sort of slats as the insulated roller door. The side sectional will have nearly the same levels of insulation as the vertically rising sectional with the weak point perhaps being the bottom tracking section where gaps must exist to allow the door to operate. The slatted RTC door will suffer from the same small weaknesses as the roller door but still offer good levels of insulation. See the Hormann HST for insulated side sectional doors. 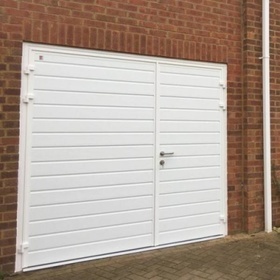 A little gem of a garage door system is the Carteck insulated side hinged door range offering 40mm double skinned steel panels with a double rebated leaf and frame with built in seals.This type of traditional hinged door system is particularly appealing to most as it also tackles the pedestrian entrance requirements with ease and also offers the option on some models of a 1/3rd and 2/3rd split rather than a 50/50 split. 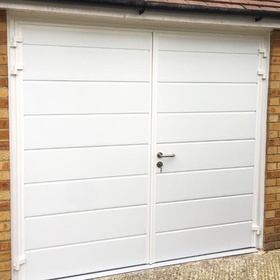 Side hinged doors don't generally spring to mind as an ideal insulated door option but properly specified with a suitable threshold seal system they can be the perfect answer for many garages to provide good levels of insulation. We specialise in the superb Hormann Thermopro steel and the TOP Prestige aluminium entrance doors. Both these ranges offer some of the highest levels of insulation of any entrance door available in the UK. 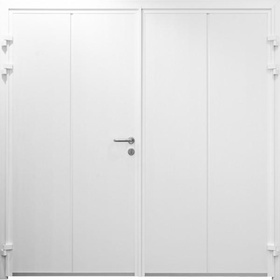 With door panel thickness ranging from 46mm to 100mm these doors not only provide excellent heat and sound insulation but are also amongst the most secure. The installation of any insulated door is key to ensuring the performance of the door. The weak point is typically where any infill sections are used, as these are not normally insulated, so accurate measuring at the ordering stages can help to minimise and prevent this. This applies to both the width and height measurements. Insulated profiles are available in some cases, although it depends on how well insulated you need your garage to be.